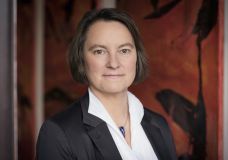 Henrike von Platen, finance expert, specialist in business information systems and business administration, founded the FPI in order to support companies in the practical implementation of sustainable pay strategies. Her goal: pay equity for all – preferably within her lifetime. From 2010 to 2016, the finance expert lobbied for equal pay as president of Business and Professional Women Germany e.V. and in 2016 she initiated the Fair Pay Alliance. 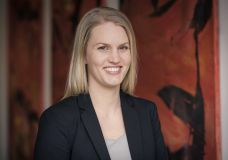 Henrike von Platen is an expert in economic development and location optimisation, university council member at Hochschule München (Munich University of Applied Sciences), and is a member of the specialist group of certified supervisory board members at AdAR, the working party on supervisory boards. Henrike von Platen believes that women and money belong together, and she is convinced that pay equity could be possible tomorrow. As a passionate paraglider, she knows that if you want to fly, you can fly. Katinka Brose is an expert on Europe and a political scientist, and completed her Master’s degree at the Hertie School of Governance. Since 2015, she has been researching European equality policy and equal pay. At FPI, she analyses the causes and consequences of the gender pay gap, and develops strategies for overcoming it. At breath-taking speed, she collates an incredible wealth of facts, figures and data, and can answer any question about pay equity and fair pay. 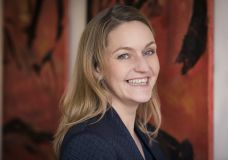 Christine Gräbe is an expert in text and communications, and has been dealing with business issues and social policy for many years. She worked for many years in the book trade as a literature specialist and bibliographer, and founded a publishing company, before starting to work as a ghost writer, speech writer and PR consultant. At FPI, Christine Gräbe is responsible for dealing with any questions concerning communication and PR, and responds to press and interview inquiries. 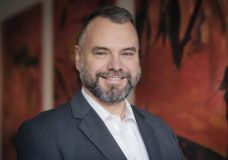 Peter Krause, business information systems specialist and IT expert, deals with the technical processes at FPI and ensures that everything runs smoothly – it is thanks to him that our website is up and running, our data are not misappropriated, and that you receive regular news from FPI.